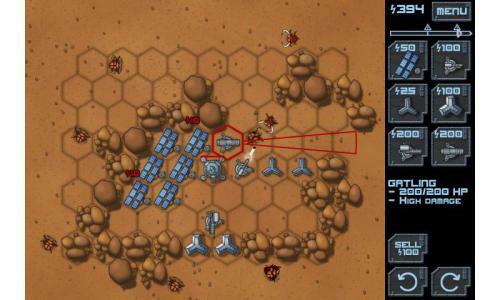 Description Aliens defense is a very tactical defense/strategy game. Monsters are intelligent and will attack your defenses : the placement and orientation of the turrets is critical to win. Nice concept and cool game. But need upgrades!